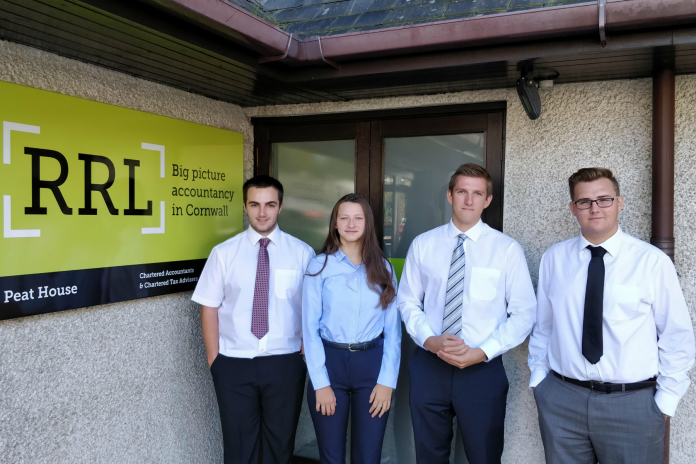 Cornish chartered accountant RRL has welcomed four new apprentices to the team. Three of the new recruits are AAT students and one a chartered student and will be based at the firm’s Truro office. The addition of four new apprentices is the latest growth for RRL, which earlier this summer expanded its probate team with the addition of solicitor Nick Latimir.